The Cape May Cafe is a bright, airy buffet restaurant. The decor is reflective of the beach theme. The outer rim is ringed with colorful canvas beach umbrellas. 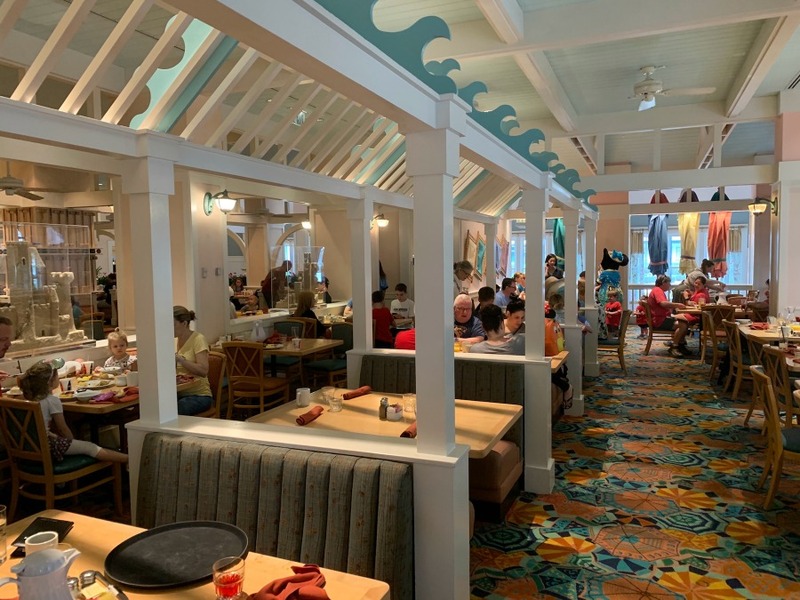 The Beach Club Buffet Character Breakfast features Minnie, Goofy, Donald, and Daisy (Characters subject to change.) Characters only appear at breakfast. Unlike the usual buffet set-up, this restaurant features a central island where the selections are displayed. There are large steamers that are continuously filled with clams and mussels. These popular items are always available hot and freshly prepared. Non-Alcoholic Drink is included. Full-service bar and specialty drinks available at additional cost. There are currently 27 reviews for Cape May Cafe. Read Full Cape May Cafe Reviews! You can also search for Cape May Cafe specific threads!